Here at Lindus Construction, we’re on a never-ending crusade to make each and every one of our customers raving fans. 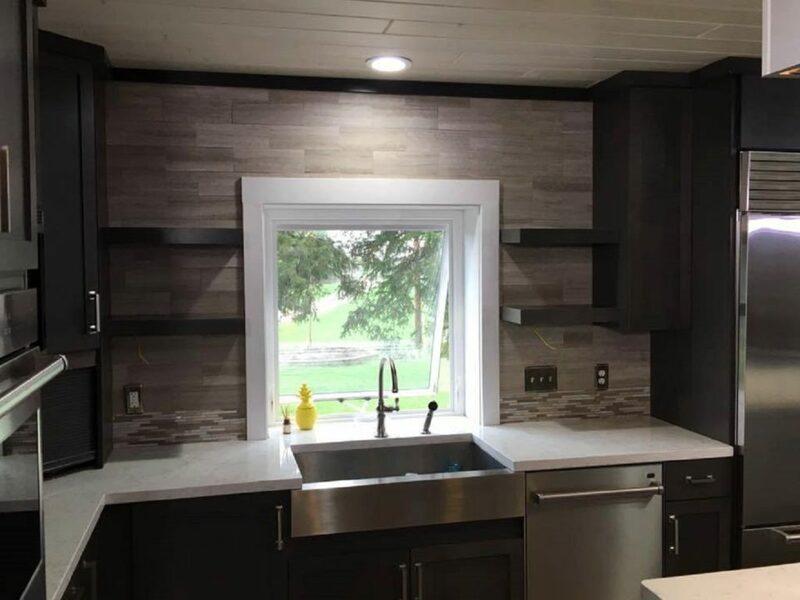 We work tirelessly on each home improvement project to provide outrageous customer service, with the ultimate goal of being the first contractor the client thinks of when they, or one of their friends & family members needs future assistance. We value the positive feedback we’ve received online, including on Angie’s List. Currently, we hold the highest possible grade they offer and consistently been a recipient of their Super Service Award, something that only the top tier of providers receive. This has afforded us the ability to share our industry knowledge with their members through blog posts, articles, Twitter chats and most recently, their “Chat with the Experts” podcast. Earlier this month, our COO, Andy Lindus took to the air waves to share his insights on the hottest kitchen trends he is seeing & here they are! Being Flexible Works in Your Favor: The first step to a successful kitchen remodeling project is evaluating your needs and planning a space that you maximize to its fullest potential. From cabinets to flooring to appliances, it’s to the homeowner’s benefit to be open to modifications to the original plan as the project progresses. It’s highly likely that once your kitchen is completely gutted, you may have additional ideas that you want to incorporate. It’s perfectly acceptable to pause the project for a couple days to evaluate your current direction and make any beneficial project modifications that you deem necessary after evaluate all the open space you have to work with. This can prevent regret and ensure you end up with the kitchen of your dreams. What’s Trending: Nowadays, the kitchen is an integral part of a home’s entertaining space and the less walls on the main floor, the better! 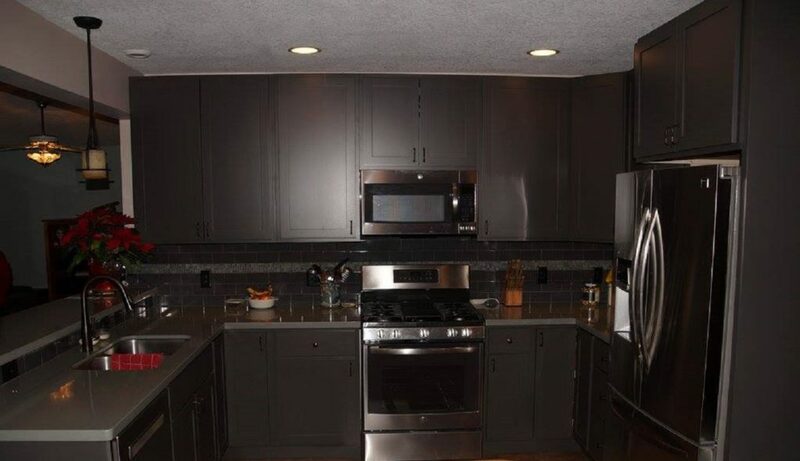 Hands down, the most popular color for this year’s kitchens is gray. Touchless faucet technology has gotten more advanced and less cost-prohibitive and many homeowners are seeking this feature out. Opt for a reputable company, like Kohler, and skip the bargain bin which will only leave you disappointed with parts that break easily and finishes that simply don’t last. Dream Appliances: With the shelf life of appliances increasing, it’s important to invest in something that will work for you both now and in the future. More and more homeowners are electing for industrial appliances and there’s been a shift to standalone refrigerators and freezers. Wine refrigerators are also becoming more commonplace. Countertops: The countertop you decide on should take into consideration your personal tastes, budget and cooking & entertaining habits. Popular choices include butcher block, granite, cement & quartz. On a budget? No worries. Laminate has become a very dependable and stylish choice, as have granite overlays. 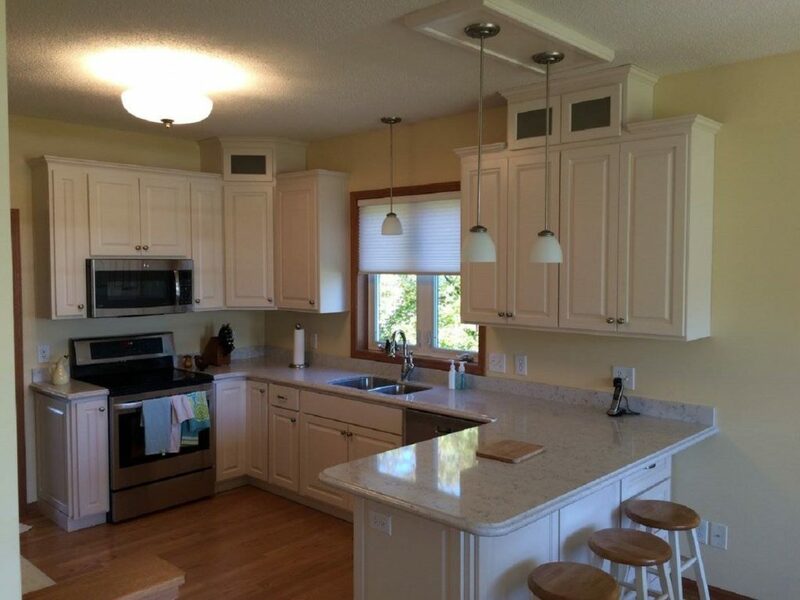 This western Twin Cities kitchen renovation included a variety of enhancements such as countertops, appliances, flooring, and cabinets. When a cramped kitchen and outdated bathroom were no longer cutting it for Liz, we stepped in to help! Learn how our team was able to breathe new life into a tired kitchen & bath in a 1970's era home. "We're impressed with all of the Lindus guys that have been working at our house and appreciate how they take ownership of the project and pride in their work. Especially impressed with the way they kept after the squeak in the floor until the solved AND resolved it!" - Kevin & Doreen S.
"I think there is something special in family owned and operated businesses. I come from a long line of family businesses and I try and use them whenever possible. Lindus has been a great partner for me and my home!" - Colleen C.
"Working with the staff, (sales, design, and project management) was great. End result looks good." - William C.
"It turned out great. The carpenters, brick layer, and log guys did awesome work." - Bill P.
"I was impressed with their work and attitude and doing the job as ordered." "I have an older home and with all the new beautiful windows, trim work, new flooring, and other improvements that were added, Lindus helped me to create a home that has been transformed to look like a new modern home! I thank all of the Lindus crew for their wonderful work and I highly recommend them!"